Ghidorzi Hotel Group is excited to expand its culinary team at the Hilton Garden Inn Wausau with the addition of Mitch Below as Executive Chef. 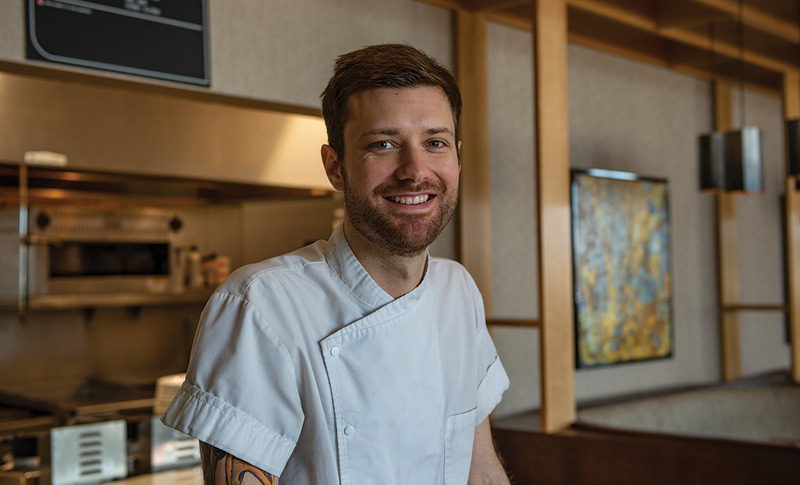 Mitch is a world class talent with diverse experience ranging from New Zealand to Alaska, in addition to Wisconsin’s most celebrated dining destinations, including Wild Rice in Bayfied, the Edgewater Hotel in Madison and Canoe Bay in Chetek. Mitch’s cooking is driven by locally grown and sourced ingredients, resulting in a menu that proudly reflects the region. A new menu for Hilton Garden Inn is already underway, which we are eager to announce in the coming weeks. Mitch completed his culinary training at the International Culinary School at The Art Institutes Minneapolis. A native of Antigo, Wisconsin, he is happy to return to the area with his family and define the culinary experience at the Hilton Garden Inn Wausau.